Out of all my palettes that I have collected over the years there are three palettes that I have constantly used over and over again. 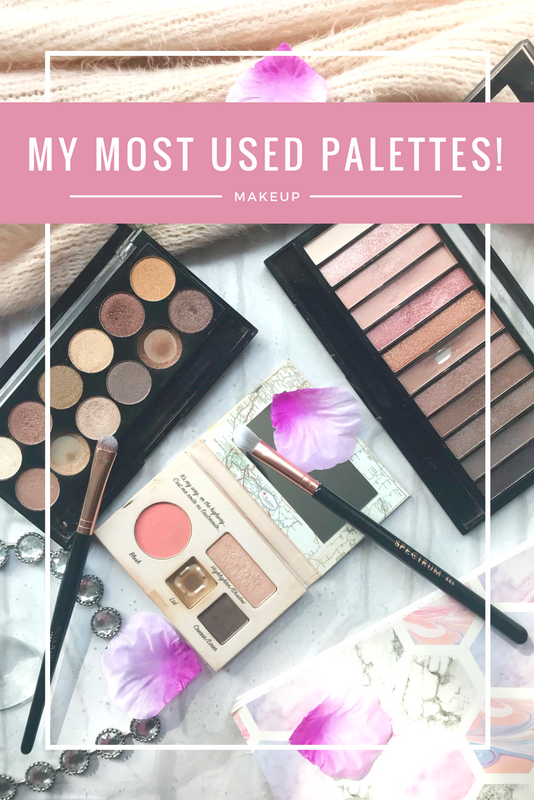 Here i'll show you the palettes that I always reach for, including swatches and looks that I've created. I've spoken about this little palette on my blog before and how much I love it, as you can see from the photo that I've used up one of the colours right down to the pan. I use this colour on nearly all of my eye looks because it is a perfect crease shade. I do use the other shades in the palette like the highlighter shade but my favourite is the crease shade. This is a really handy little palette that would be perfect for travelling as you have a blush, highlighter and two shadow colours in a small compact kit. This palette is probably my favourite out of all of the palettes that I own! 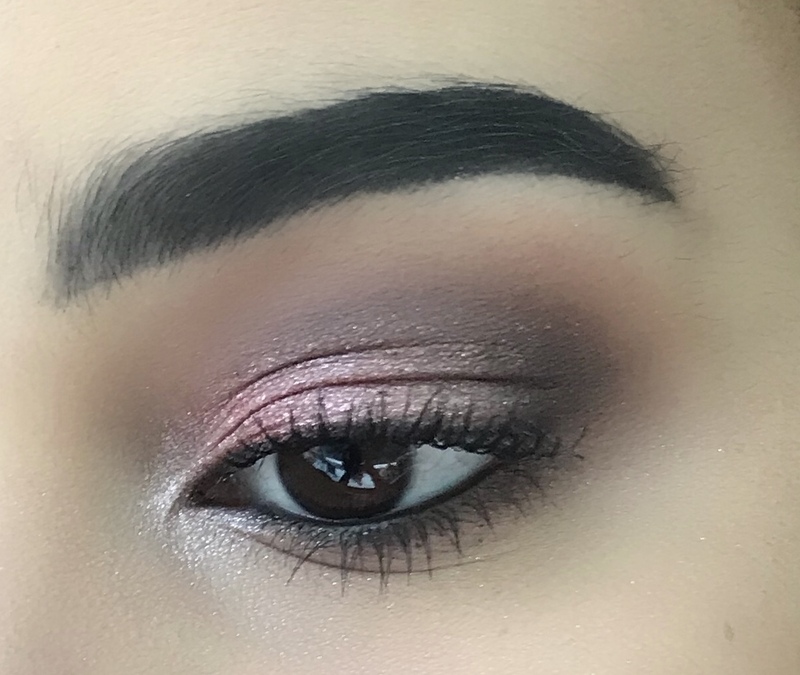 I really love making eye looks with pink tone shadows. As you can see from the palette that I hit pan on one of the matte shades, I always use this shade when im doing a eye look with different pinky tones, this colour is a mauve and it works as a really well with any pink or purple shades. What I also love about this palette is that it is so versatile and you can make all different looks with just one palette. I only took this palette on holiday with me and it was perfect because it isn't a large palette but has a good selection of colours. 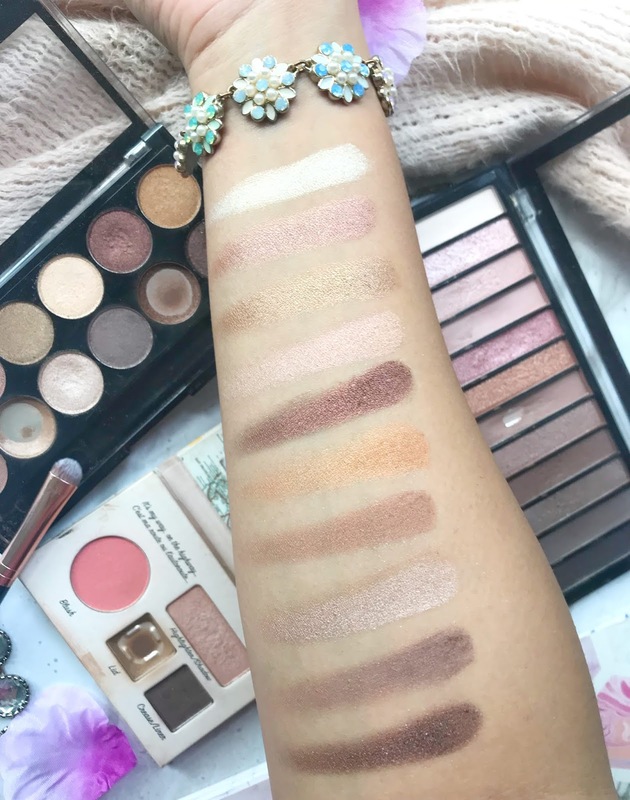 This palette was one of the first ever MUA palettes that I tried and instantly fell in love and brought about 4 more other ones (they are only £4 each!). As you can see from the photo that I have completely used up two of the shades, Amber Dune and Canyon, I used to use these two shades all of the time together for a soft golden look. If you love neutral colours and some shimmer this palette is perfect for you. 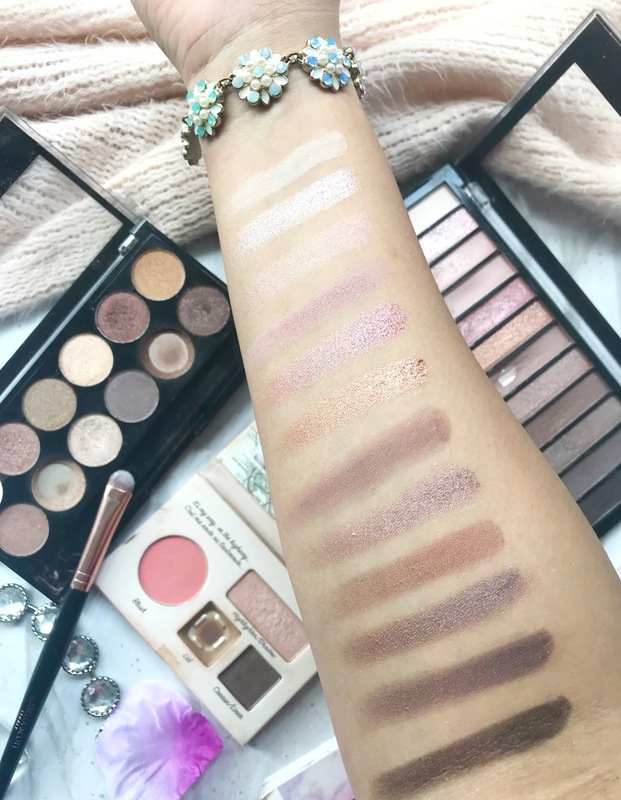 This palette is my everyday palette, I wear these colours to work and if I was to add some darker shades to the outer corners it would be perfect for a night out. The quality of the shades in this palettes is also perfect, they are slightly powdery but it think that's because they are glitter shades. 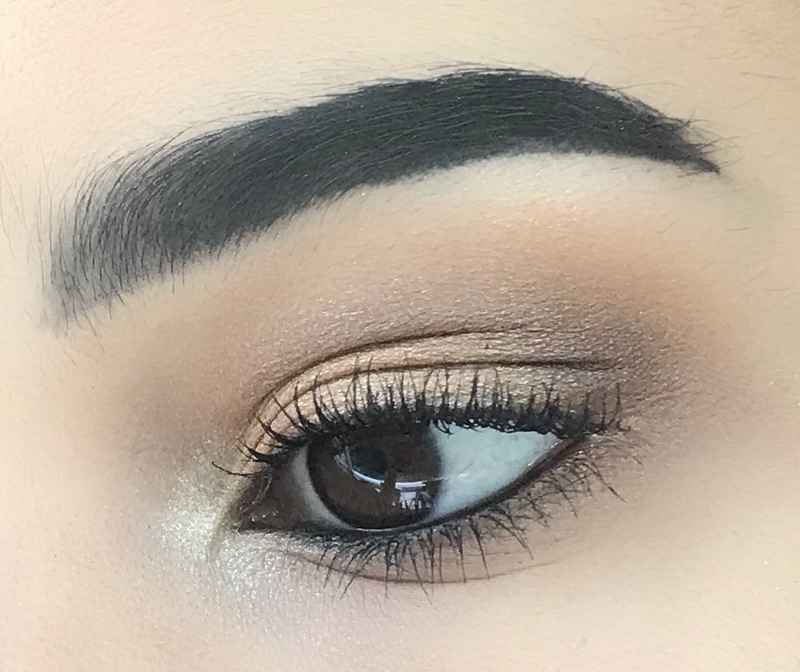 You may need to use another palette with this one because there are no matte shades but I use my TheBalm Autobalm palette for my crease colour. 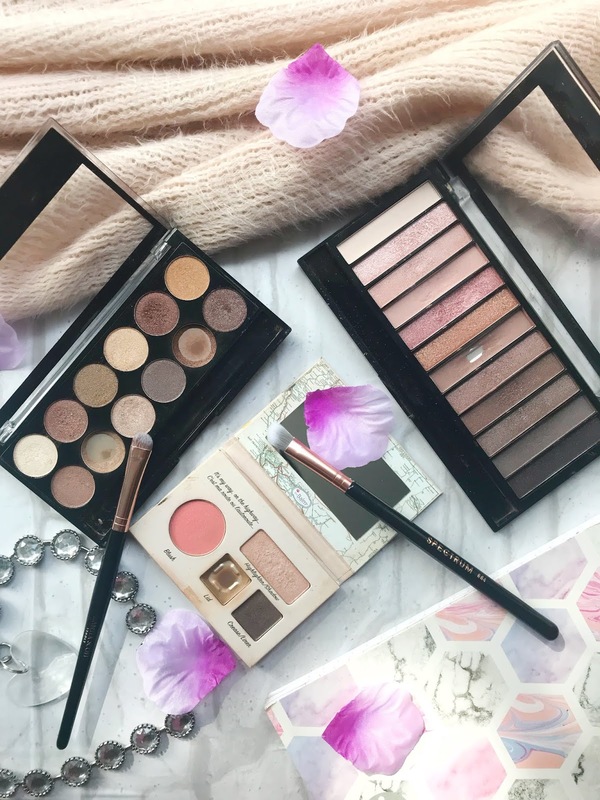 Palettes are my favourite item of makeup to use because you can experiment with different looks and colours. What's your favourite palettes? I'm so glad these are all drugstore palettes as I've realised recently just how much I barely use my high end ones anymore! My current favourites are Revolution and although I pick up my Morphes from time to time, its nowhere near as frequent as in the past! Budget beauty is really upping its game and I'm living for it. Loving your looks too girl! Both of these palettes are so cute! I don't have either of them but I want them now 😂 your photos are gorgeous, too!